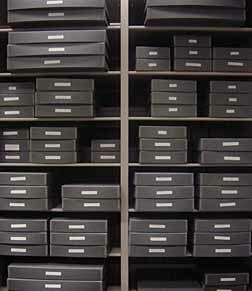 Three separate archives are housed within the repository at Manhattan College. These include the Archives of Manhattan College and the Archives of the De La Salle Christian Brothers of the New York District and the Long Island-New England (LI-NE) District. The Manhattan College Archives serves as the final repository for the historical records of Manhattan College. Its primary purpose is to document the history of the College and to provide source material for administrators, faculty, students, alumni, and other members of the College community, as well as scholars, authors, and other interested persons who seek to evaluate the impact of the College's activities on the history of American social, cultural, and intellectual development. The Manhattan College Archives is operated as a component of Manhattan College. Its intent is to reflect the guiding mission and philosophy of the College to the operation of the archives. It is the function of the Manhattan College Archives to establish a viable historical records research and repository which will adequately serve the needs of the Archives patron and the Manhattan College community. In support of Manhattan College's mission, the Archives identifies, appraises, acquires, and preserves records of historical, legal, fiscal, and administrative value to Manhattan College in various media and formats. The Archives arranges, describes, and makes its collections accessible in support of scholarship, exhibitions, publications, and education. These services are offered in a professionally-managed archive on the Manhattan College campus and through databases, finding aids, and other forms of publication. In support of Manhattan College's mission, the Archives identifies, appraises, acquires, and preserves records of historical, legal, fiscal, and administrative value to Manhattan College in various media and formats. The Archives arranges, describes, and makes its collections accessible in support of scholarship, exhibitions, publications, and education. These services are offered in a professionally-managed archive on the Manhattan College campus and through databases, finding aids, and other forms of publication. 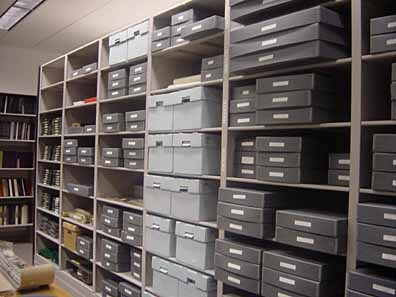 Manhattan College Archives consists of those records which are judged worthy of permanent preservation in order to facilitate reference and research purposes. Material that belongs in the Archives includes documents, regardless of physical form or characteristics, received or created by Manhattan College in order to document the history of Manhattan College and the surrounding area. All publications, newsletters and booklets distributed in the name of Manhattan College, including catalogs, special bulletins, yearbooks, student newspapers, College directories and faculty/staff rosters, faculty and administration newsletters and publications, alumni publications and ephemeral material. The Archives of the De La Salle Christian Brothers serves as the final repository for the historical records of the Districts of New York and Long Island-New England. Its primary purpose is to document the history of each District as its constitutive institutions pursue their religious mission in relation to the international Institute and society at large. The Archives serves as the institutional memory of the two Districts and plays an integral role in the management of the information resources in all media and formats of the District and their ministries. The Archives documents the continuing mission of the Christian Brothers by identifying, acquiring, arranging, preserving, and making available the records which reflect that mission, chronicle the development of the Districts and their ministries with a view to their continued existence. The Archives of the New York District and those of the Long Island-New England District are kept as separate collections.